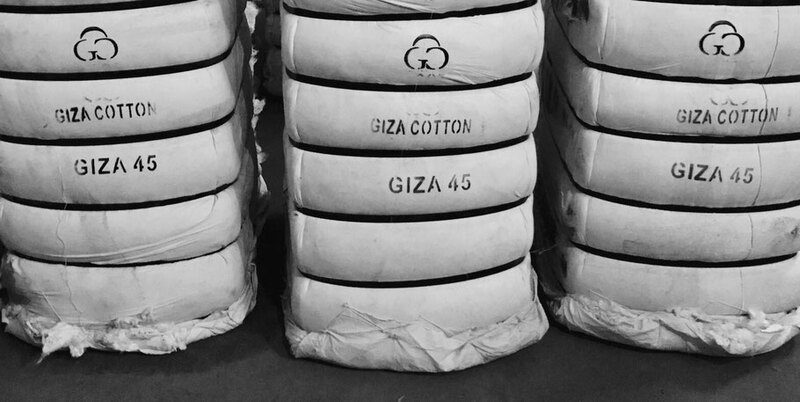 Giza 45 is the oldest Giza Cotton variety still grown in Egypt (more than 60 years) and the most precious and famous all over the world. It represents the highest quality and the highest spinning potential in the world and the reason is its fineness, that guarantees an ultra fine yarn (350 Ne), spun from its lint, which is the most upper thread count ever achieved. The origin of Giza 45 came back to the need of producing varieties of top quality that could have faced the expected competition of Sea Island cotton, so through a cross between Giza 7 and Giza 28, it had been possible to obtain our precious Giza 45. Prematurely released in 1951 and withdrawn in the following years, Giza 45 returned back to the market in 1957, achieving a maximum acreage of 65 thousands hectares in 1966, then reduced to 16 thousands hectares in 1975 and decreased again to only 4 thousands hectares in the years 1990-1999. Now Giza 45 is only cultivated according to demand because of its low crop yields. Its fibers are extremely long (36 mm) and have a uniformity index of 89.8%. The fineness of Giza 45 fibers measured in micronaire around 3.0 and their stretching resistance is also high with an average of 46.6 g/tex.